Normally never a summer lover, I hanker for misty mornings, gloomy rainy days and snow. But this year I cast aside my Scorpionic affinities for winter and embraced Summer. Throughout the holiday break we didn’t leave Sydney and although I sighed wistfully when viewing friends’ social media accounts of their holidays abroad, I enjoyed the hush in the streets surrounding our inner-city home – a break from the constant jackhammering on the building site next door. Instead we embraced more peaceful streets that looked like they belonged in the 1950s, and a half-empty shopping mall. Throughout the lethargic summer days there was time to plan the year ahead and explore Sydney’s breathtaking beaches. A new favourite this year was Bundeena and also Cronulla. I loved this area where a vibrant mix of cultures gathered to escape the heat wave and enjoy the spectacular views of the popular surfing beaches. The school year is now well under way and my life is filled with notices, appointments, homework and in the midst of the whirl – writing my new book. I’m really enjoying crafting this mystery which once again examines the ripple effect of murder across three different time periods in a Tasmanian village. My agent is happy with the early chapters she has read. Mercury Retrograde has ended and with its departure heralded welcome news from Spain. I adore Poet’s Cottage’s poetic and Cocteau sounding Spanish translation – La Casa del Poeta. The cover is one of my favourite interpretations – so atmospheric and really conveys the story. I hope La Casa del Poeta is enjoyed in Spain. It’s always a joy to think of my Tasmanian murder mystery being read in different countries. Tomorrow we will spend five days on the Great Barrier Reef. With no technology for distraction I’m taking only a notebook, books to embrace the endless blue sky and sea. I can’t wait to feel sand beneath my feet and see some baby turtles being born. I’m packing here a massive amount of flowers for my hair, tarot and Angel cards – all the essentials! Thank you for visiting and I wish you creative and magical days. Leura is one of the prettiest Blue Mountain villages and Spring is the perfect time to visit, when the mountain air feels enchanted from the cherry blossom and jacarandas trees. As I said in my previous post, we’ve recently introduced our daughter to The Secret Garden book and film and so we enjoyed a family day out at the Leura Garden festival. A few photos below. We came away with plenty of ideas for our Secret Garden journal. Definitely a must in my Secret Garden is gatepost rabbits. A wishing well, sacred bells, Madonna figures and a drystone wall. I’ve been working on my current book, another mystery novel set in Tasmania. So far the characters are materialising beautifully and all the twists and main plot seem strong. I’m at the stage where I want to find out what happens and how it evolves which is the best place for me to be in. When I haven’t been writing, I’ve been catching up on reading. I’m working my way through the large pile of books in my TBR pile. I’ll do a separate post on a few I enjoyed over the holiday break. Along with my family I completed a course at the Transcendental Meditation Centre in Sydney. The TM centre is located in the striking AWA building in the CBD in York street. The communications tower was designed in 1937-1939 by architects Morrow and Gordon. It has a geometric art-deco design and also features symbols of communication such as a winged Pegarsus. The tower has been featured in the movie The Matrix. 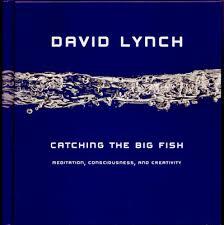 I’ve been meditating regularly for many years now but have always been intrigued by TM and the effects on the creative brain after reading David Lynch’s Catching The Big Fish (highly recommended book on creativity and abstract thought). I’ve only been practising for a couple of weeks, but it has exceeded my expectations on how deeply you can transcend in twenty minutes. I was surprised by how effortless and easy the process is. I’ll write more on meditation and the effects on my creativity when I’ve been practising TM for a few months. In Australia, we have celebrated the seasonal Beltane, but being Scorpio and fascinated by death and transfiguration, I view the 31st of October as the Day of the Dead – we enjoyed All Hallows at a friends in the inner-west suburb of Tempe. I volunteered to walk the children around the streets for a couple of hours which was surreal and dreamlike. In the darkened streets I passed witches, zombies, a live python, and excited children claiming the streets on the night the veils are thin and mayhem rules. Thank you for visiting me. Please share this post if you know of anyone who would be interested. The school holidays have just finished in Sydney. So disruptive to writing time, but my daughter and I embraced Winter days relaxed in Little Brick, enjoying the luxury of not having to concern ourselves with lunchboxes, uniforms and school newsletters. Thank you to WHO magazine for the following mention of Currawong Manor. Currawong Manor has everything I love in a novel – a decaying house creating a dark and oppressive setting (enhanced by the mountain location), a heightened sense of suspense, a slowly-unfolding mystery, and some sinister characters (including the house and the nearby woods). There are also secondary romantic elements, which add to the tension. The standout feature for me was the sense of place; because it was captured so well, it made me want to plan a holiday to the Blue Mountains sooner rather than later. For those who love a good gothic-style mystery, add Currawong Creek to your to-read list – I highly recommend it. I’ve added Pennicott’s 2013 novel, Poet’s Corner, to my to-read list. Thank you, Monique. The rest of the review can be read on her review site HERE. I was most taken with the fact she used a painting from Frederick McCubbin, The Lost Child as I was working with that image on an early draft of Currawong Manor. It also means a lot to me when I can make people long to revisit a place through my prose. I enjoy the inner-city when its hub is momentarily hushed as the exodus begins from Sydney on holidays. But I admit, to some envy as I watched friends heading off for overseas holidays. I reminded myself that sometimes the most cherished holidays are when you discover your own city anew and that having unstructured days is of great benefit to children. I remember holiday breaks when I was a child, that seemed to last forever – no playdates,sleep overs, activity centres, and extra tuition in everything imaginable booked in. Instead we explored our own backyards, became terribly bored and began to create with the material we had at hand. 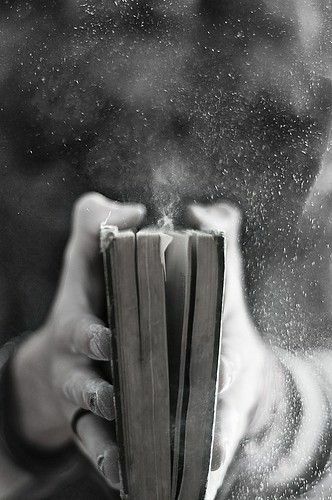 I wrote books I never finished on an old typewriter, formed clubs with imaginary friends and read books I longed to read and wasn’t interested in, but I’d already read everything in our house and library. Boring your children is so important and undervalued in this overstimulated time if you want to help your child’s imagination to flourish. With harbour side trips and unstructured days behind me, I’m now busy working on my present book which I’m very excited about. I’m back in Tasmania for this one and it’s 1950. After all the recent events in the news, it’s a relief to immerse myself into a more optimistic decade. Thank you to all the support for Currawong Manor on my Facebook pages and on Good Reads. I do value your comments and cyber-word of mouth. Keeping good company. Thanks to Amelia for the support on Instagram. In early June, I announced a Giveaway to celebrate Currawong Manor’s release. I have put all the names into a hat and selected a winner from the large amount of entries received. Congratulations to Vivienne Martyn, you will be receiving a signed copies of both Poet’s Cottage and Currawong Manor, a set of Daily Guidance Angel Cards and a Russian Red Mac Lipstick all to the value of $120.93. Thanks so much to everyone who entered, signed up for my newsletter, shared the post and helped to spread the word. Your support is always so appreciated! Feeling absolutely helpless in the face of the madness and violence of the world. I’m making things up to keep sane. I’m in control there. I share his despair. So many sadistic and cruel things have been occurring to so many: but in the darkest of times, artists and storytellers are even more vital. So feel the pain, but keep working, blaze your fire, call for grace. If you have enjoyed this journal post, please share with your online friends if you think they would be interested. As I write this on a sunny day in Sydney with dappled light showering our inner-city street, cicadas competing with the traffic noise and overhead planes, gum trees a wash of green against a brilliant blue sky, Angelina Jolie has just finished directing a scene near our house for her new movie Unbroken. Regular readers will know my fascination with comparative religions. The reason I’m so excited that Hollywood has come to our area is that Angelina is directing a scene in my local church. This church is a big part of our family and has formed the fabric of our lives here for the last decade. My daughter was baptised there and before my father died, he flew over to give me away in my Alice in Wonderland meets Carnaby Street wedding. In an area bursting with the politically correct/hipster crowd, the church has been a sanctuary to me for years. I’ve seen it go through many changes and several priests, but the current priest has been my favourite for many reasons. The reason I mention Angelina is that it’s proof of how life can bring unexpected twists and miracles in ways you can’t imagine. And how ‘real life’ can be stranger than fiction and any movie. For years we’ve battled with church costs (the roof fell in a few years ago) and in one swoop – thanks to Angelina – those costs have been considerably bumped down. But I could never have expected that’s who would have fixed our church roof. Not even my imagination would have dreamt that scenario. And so Angelina Jolie is our little Christmas miracle and if you see Unbroken, know that the church in it has been my oasis of quiet contemplation for the last decade of my inner-city life. I have finished my edit of Currawong Manor. On Monday, 2nd December at 12.30 am I pressed the send button and Currawong Manor went across the city back to Pan Macmillan. I felt enormously depleted, emotional and empty. I’ve loved working with my artists for so long and it’ s always hard to let go of my characters. I’ve spent years in their company. I feel so empty without them all and wonder if anyone will care for them. Where do these characters come from? They come. Sometimes quickly, but sometimes they are furtive and hide themselves behind other characters. Or they are too coy to appear at once, and you know they will come another time and book. You spend years with the ones that do appear. You grow to know them more intimately than you do most of your neighbours, and friends. And then they are gone. Released with the SEND button to a waiting editor and publisher in an office across the city and you are left alone, crying with exhaustion and wondering why you push yourself through so much for so many years to meet a being who is as real as a dream. Divine madness has descended for years – if you are lucky – and then it moves on and you are left feeling abandoned by your own creation. You sit and wait and hope the muse will bring you another story. You wait and ache and start to spin the web. I’ve now begun work on my new web. and loving feeling the new characters appear. Poet’s Cottage continues its tour around Europe and here is the beautiful cover from Dutch publishers HERE Fingers crossed that the Dutch will enjoy my Tasmanian sea-fishing murder mystery. It never fails to excite me to think that our family holiday inspired a book that is now selling internationally. In November I appeared at the Newtown Festival for Better Read than Dead in the Writer’s Tent with the always inspiring and dynamic Kate Forsyth. I also attended the New South Wales SWITCH Library Awards dinner at the Star Room in Darling Harbour, sponsored by Bolinda Audio alongside some of my agent’s authors. Here is a photo of writing friends Belinda Alexandra and Karen Davis. I travelled to Melbourne for the Sisters in Crime annual Scarlet Stiletto Awards. I can’t enter anymore as I’ve won two shoes (the legal limit!) so this was my first year as a judge. Congratulations to all shortlisted entries and to the winners. You can find a full list of winners HERE. This evening was the 20th Anniversary of Sisters in Crime at the boho glam Thornbury Theatre and so I was delighted to be a part of the celebrations. Angela Savage wrote a lovely article on the history of the red shoe, A Dagger With A Difference, which you can read HERE. The beautiful and talented Essie Davis was the host and guest speaker. You may know her as Phryne Fisher in Kerry Greenwood’s Miss Fisher’s Murder Mysteries, or from many other wonderful parts she has played. I remember Essie from our Hobart days at Rosny College together and so it was a joy to be able to connect with her again. In the photo below you can see her hugging me. Essie was always a person you knew would be Someone. She claims she was a dag at Rosny but I can vouch she was always super-cool and super-talented. I was also pleased to have the chance to hand her a copy of Poet’s Cottage as when Pearl Tatlow came to me, I often daydreamed over the years if Poet’s Cottage was ever made into a movie, Essie would be perfect to play Pearl. Yes, I know that seems like big dreams, but if Angelina Jolie can pay for our church roof, I can believe in big dreams and miracles. And on that note – I wish for you all the big dreams, miracles and surprising twists in your life that you could NEVER have imagined in the season of light ahead. And it wouldn’t be a Christmas blog post on Tale Peddler without a gratuitous Johnny Depp photograph. Thank you for visiting me. Here is the divine Mediaeval Baebes with the glorious We Three Kings. Love, Light and Peace. May you find the best of the Holy Season within your own heart. 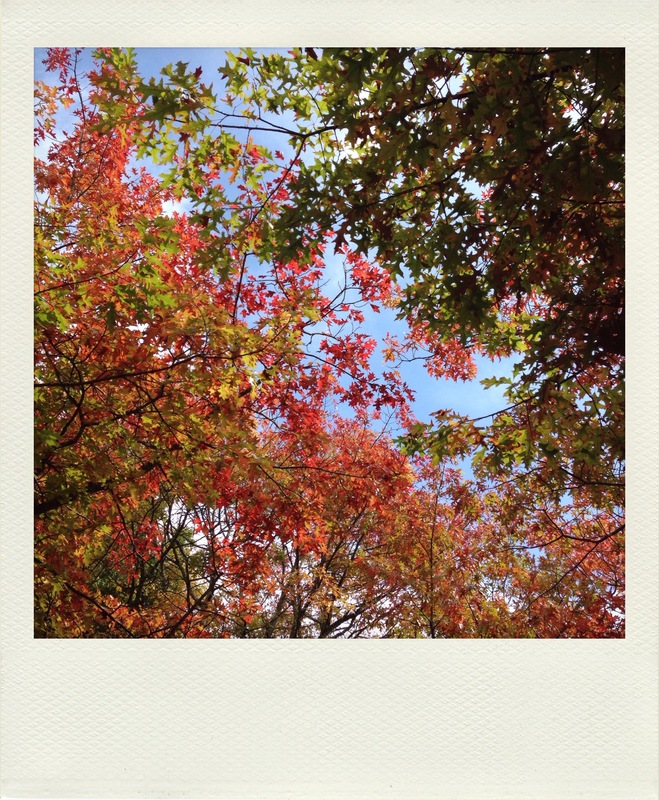 I love September, as in the Southern Hemisphere, we are in Spring. The Sydney air seems to pulsate joy and magical possibilities. I’m on another editing deadline for Currawong Manor, and so updating my blog before I lose myself too much into the threads of my Blue Mountains artists. The rose ladies in my courtyard garden are putting on a colourful, flashy display and creative ideas for more projects are also flowering within me. I attended the Davitt Awards in Melbourne this month, for which Poet’s Cottage shortlisted. Although I didn’t collect an award, I had an excellent night with my Sisters in Crime and was thrilled to be a part of the audience when Kerry Greenwood received her well-deserved Lifetime Achievement Award. Congratulations to all Sisters in Crime below who took out major awards. Reader’s Choice Award Tamam Shud: The Somerton Man (Kerry Greenwood, NewSouth). I also attended my agent Selwa Anthony’s annual Sassy Awards, always an interesting event. Here are a few snaps from the evening. Unfortunately, I had an infected eye which kept me from rocking the dance floor, but it was fun to catch up with long-time writing friends such as Belinda Alexandra, Ian Irvine, Traci Harding, Stephen Irvine, Anna Romer, Richard Harland. Writing in isolation, the Sassies are a reminder that you’re not working alone, and you are in fact, connected to a larger industry web. Along with an infected eye, Scorpio in Saturn wasn’t benevolent to me. After a few wines with friends, I managed to drop a cup of tea on my laptop. Disaster! Here is a shot of my beloved, covered in rice in a vain attempt to absorb the moisture. If you are ever suffering from the blues and live in Sydney, I recommend an outing to Luna Park. Take your real child, or your inner-child, and inhale all the exuberant energy and joy that to me represents Sydney. The location by the sparkling harbour ensures your senses are constantly assailed by gaiety and brilliant scenic blue views. The adrenaline rush you get from the rides ensures you don’t have time to waste worrying over trivia – you are only concerned with surviving the next ten minutes. I have to concede that if you have a fear of heights like yours truly, braving the Ferris Wheel in gale winds is probably not perfect timing to teach your daughter about facing fears. I made the trek to Luna Park (and risked my spine on the Tango Dancer and Spider) as I have a brief scene in Currawong Manor featuring the iconic Sydney location. I’ve returned from the mountains after a blissful week with my family. I roughed out some early drafts for my current mystery novel, which is an idea I’ve nursed for a couple of years. I have a title for this one and some early images, so feel very optimistic. My agent was also keen on the idea, so that’s coming together nicely. The mountains was a haven of winter sunlight, air spiked with goodness and the beauty of peace. It’s shocking to experience how differently you feel when your senses aren’t bombarded by constant traffic and aircraft. We bushwalked, slept a lot, read in front of the stove fire, explored the antique shops and it was all heaven. I also caught up with a couple of friends in the mountains including Kim Wilkins aka Kimberley Freeman who was on a research trip for a forthcoming book. It was very difficult to return to the city and the abruptness of a new school term. I’m currently working on a coming-of-age novel that I’ve been tinkering around with for several years. I am very much in love with this project. I’ve been reading a lot and catching up on books I’ve had on my ‘to-read’ list. The Somnambulist, a truly wonderful Gothic Victorian mystery by Essie Fox. The Poison Tree by Erin Kelly, Citadel by Kate Mosse and The Woman in White by Wilkie Collins. I do plan to do some proper reviews when I get a chance. I’m getting very behind with my reviews for Australian Women Writers. I’m pleased to see Poet’s Cottage is on the long list for the Davitt Awards for mystery and crime writing. Even more thrilled to see the list had a record number of entries. 63 books have been nominated this year which is a statement that mystery and crime writing is booming in Australian publishing. And I’m also thrilled to know that book clubs are enjoying Poet’s Cottage. When I get a chance I’m planning on creating a website with a book club section. I was contacted on my Author Facebook page this week by a lovely lady who is taking a walking tour to Stanley this weekend as her book club is reading the book in the nearby town of Wynyard. I couldn’t think of a more spectacular back drop for a book club meeting. I love this recent Vogue cover featuring Sofia Coppola. Sofia was one of the inspirations behind my character Elizabeth, a photographer in the present-day thread of Currawong Manor. I needed somebody who was powerful, but in a gentle, soothing type of way. I’m a big fan of all of Sofia Coppola’s movies. I finally caught up with The Great Gatsby (probably the last person in Sydney to see it). I saw it with Artschool Annie and we both relished the painterly interpretation that Baz Luhrmann and Catherine Martin brought to the book. It made me feel like re-reading The Great Gatsby. And thank you to all who entered my Giveaway both here and on Facebook. It is now past the full moon and so as promised I have drawn a winner. Congratulations ROBYN JONES. Please PM me your address and I shall post your books to you. Thank you for visiting me. Keep creative. I hope you enjoyed the full moon period. It’s a favourable time to rid yourself of everything holding you back from achieving your dreams.